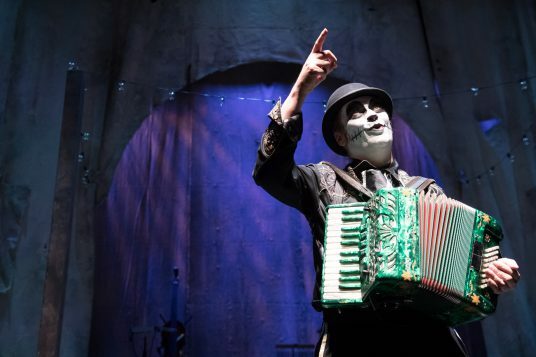 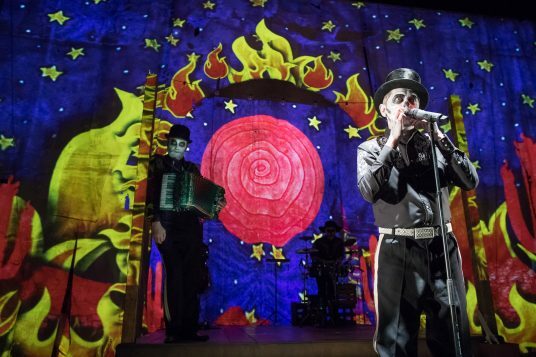 Punk troubadours the Tiger Lillies – ostensibly singer-songwriter Martyn Jaques and a rotating line-up of band-mates – have been peddling their persuasively peculiar brand of Brechtian cabaret for almost 30 years. 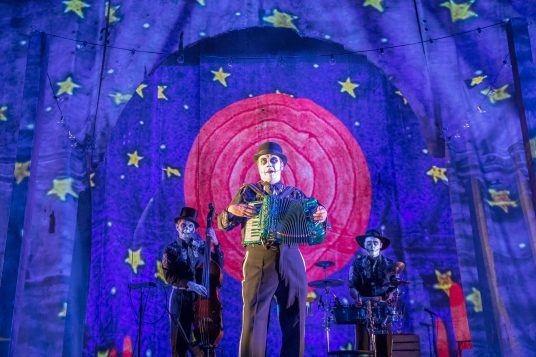 But this collaboration with Mexican visual artists and puppeteers, commissioned by Home for its 2018 Spanish and Latin American season, might well be their most visually ambitious production yet. 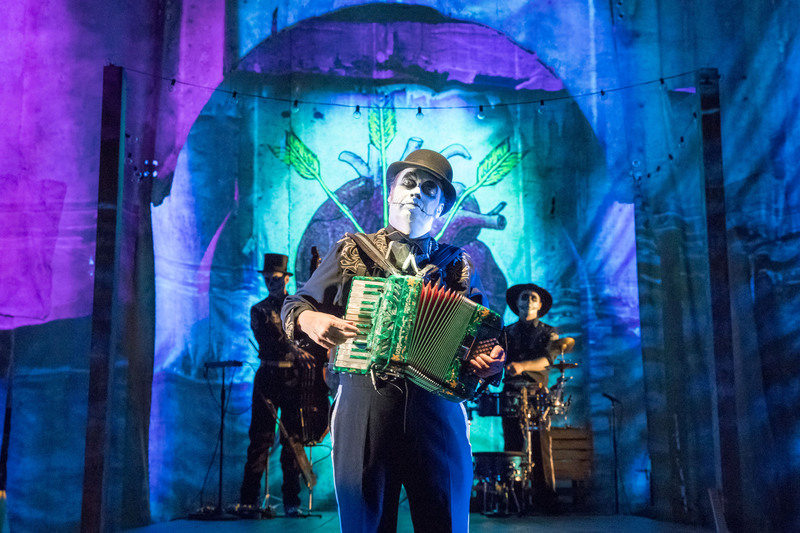 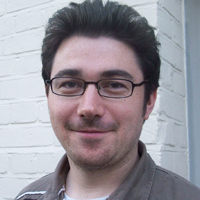 Unlike Shockheaded Peter – the band’s hugely successful 1998 collaboration with Improbable Theatre – this is a song cycle with a strong narrative thread rather than a fully blown theatrical piece. But director Mark Holthusen and David Bernard’s projected backdrops, presenting everything from sunny vistas and gilded Aztec palaces to dark, neon-lit chapels, provide a feast for the eyes, and offer much needed variety when Jaques’ expertly crafted songs start bordering on the samey. 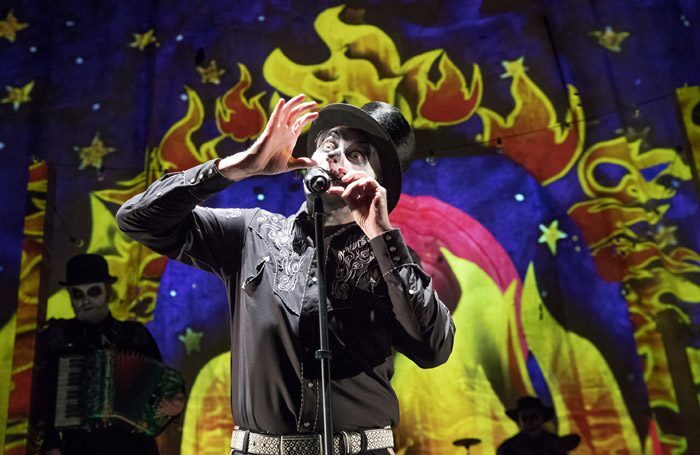 The story of a band’s misadventures with a Mexican drug cartel is set on the US-Mexico border, but musically the songs are squarely in the band’s Jacques Brel-indebted wheelhouse. 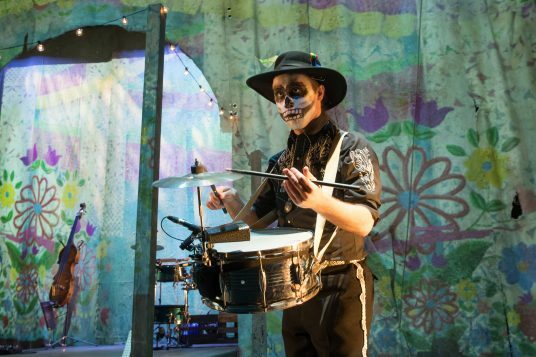 The musicianship is second to none – with Adrian Stout in particular playing an amazing array of instruments – but would benefit from a bit more Latin flavour. Corrido De La Sangre translates as the ‘ballad of blood’ but the contents are also rather mild. The fictional band get their fingers cut off and the heroine’s face is slashed by mobsters, but – aside from the ragtime-infused Sante Muerte and primal Screamin’ Jay Hawkins-esque Howl and Moan – it’s all rather tame and a far cry from the murderers, prostitutes and paedophiles that populate the band’s gory back catalogue.